The U.S. arm of Sherry house Gonález Byass has grown dramatically in recent years. González Byass USA is current refocusing its portfolio on key wine, brandy, and Sherry labels in an effort to further growth. 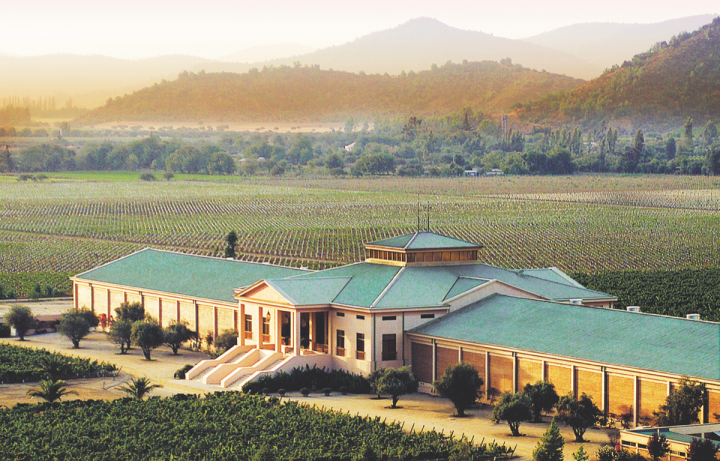 The Spanish company's premium Chilean wine brand Veramonte (winery pictured) will be certified organic starting with the 2017 vintage. After increasing its presence in recent years through a mix of organic growth and acquisitions, González Byass USA is refocusing its portfolio on a number of key brands that it expects will drive further gains in the months ahead. This year, the Spanish company expects its U.S. business to total around 220,000 cases, representing an impressive increase of 130,000 cases over the past two years. In that time, González Byass has augmented its brand stable with Chile’s Veramonte wines and several Mexican brandies, including Don Pedro, Presidente, and Azteca de Oro. As the González Byass USA portfolio has expanded, so too has the company’s headcount, which is now at 30 employees after a rise of 50%. Nicolas Bertino, a company veteran who was named CEO of González Byass USA last fall, says the key priorities now include growing the Beronia brand from Rioja and continuing to develop Veramonte and the Tio Pepe Sherry range. While Beronia remains small, Bertino says it’s growing and will reach about 10,000 cases this year. “We’re encouraged, because Rioja volume was up 6% last year in the U.S.,” Bertino says. While the brand is primarily known for Rioja, Beronia expanded in the Rueda region earlier this year, opening a new winery close to its two local vineyard estates, Finca La Perdiz and Finca El Torrejón. In the Chilean category, Veramonte—which González Byass acquired from the Huneeus family in 2016—will be certified organic beginning with the 2017 vintage. “The lower end of the Chilean category is struggling,” Bertino says. “But we see opportunity in the $15-$20 range with Veramonte’s Ritual and Primus wines, and at the high end with Neyen ($50).” Meanwhile, Veramonte will launch a rosé of Pinot Noir ($12) under its core brand in September. González Byass, which dates back to 1835, was originally primarily a Sherry house, and the Tio Pepe brand remains an important part of the portfolio. This spring, González Byass held its first Tio Pepe Challenge mixology contest in the U.S., inviting bartenders to creatively use the brand as a cocktail component. At the same time, the company has noted an increase in neat Sherry drinking on the part of influencers in the U.S., signaling further opportunity ahead, especially for higher-end bottlings. González Byass has found particular success among Sherry connoisseurs in recent years with the release of Tio Pepe en Rama, an unfiltered and extremely fresh fino Sherry released just once a year. On the spirits side, González Byass plans to first focus on the off-premise with the Mexican brandies it acquired from Pernod Ricard last year before expanding in the on-premise. “We’ll be able to give these brands more attention,” Bertino says, noting that Texas, California, and Illinois are the key markets for the Mexican labels. In addition, the company has been supporting its Nomad Outland whisky ($45 a 750-ml. ), a blend of 5- to 8-year-old Scottish malt and grain whiskies that matures for three years in Sherry casks in Scotland and is then transferred to González Byass’ cellars in Jerez for 12 months of further aging in Pedro Ximénez casks. The top markets for Nomad include New York, Florida, and Illinois, with further distribution in Colorado, Louisiana, Maryland, Minnesota, New Jersey, Texas, South Carolina, and Washington, D.C.
On an agency basis, González Byass USA recently entered the California wine category with the Row Eleven label, which specializes in Pinot Noir from the Russian River Valley. Other key agency brands in the portfolio include Austria’s Domäne Wachau, the largest producer in the country’s prestigious Wachau region; Italy’s Farnese; and Champagne Palmer.